Strong winds battered northern and central Europe on Sunday, killing two people in Poland, two in the Czech Republic and one in Germany. Rail traffic in large sections of Germany will be suspended into Monday. Winds reached more than 100 kph in several parts of the Czech Republic and topped 180 kph on Snezka, the country’s highest mountain. The victims in Poland and the Czech Republic were killed by falling trees. The storm also knocked out power to thousands of Czechs and Poles. 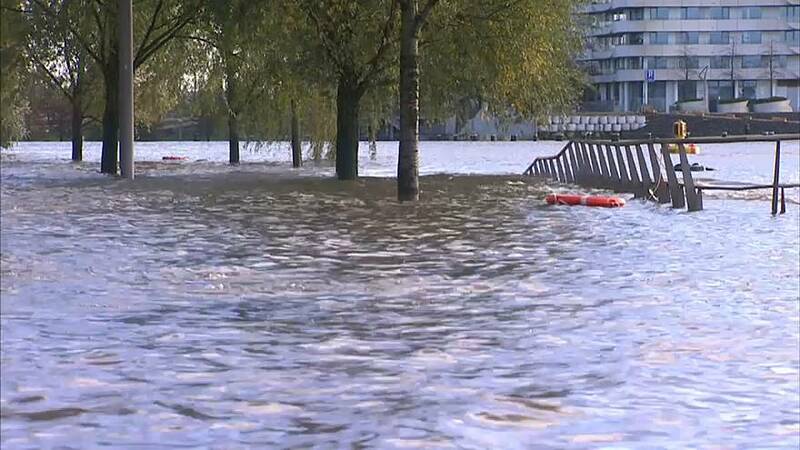 The Bild newspaper reported that a 63-year-old German man drowned at a campsite in Lower Saxony as a result of a storm surge. In Germany, railway operator Deutsche Bahn cited what it called “significant damage” on main routes. It said rail traffic on many routes in northern and central Germany would remain suspended until Monday. The decision left thousands of travellers stranded and cut rail access to cities like Bremen, Hamburg, Berlin, Hanover and Kiel. The closures also affect popular routes such as from Frankfurt to Berlin and Dortmund to Hamburg. What happened in the Czech Republic? The winds felled many trees. One man died after being hit on a sidewalk in a town in the north of the country. A woman was also reportedly killed. The weather delayed or halted traffic on several railway lines and slowed road traffic. Prague Zoo closed because of the winds. However, Praque Airport remained open. A pipeline was damaged at the liquified natural gas terminal in the port of Swinoujscie. A spokesperson for Gaz-System, the pipeline operator, said there was a small leak but no greater damage.